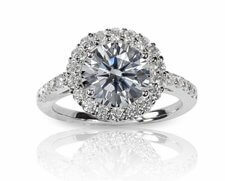 What is a pre-certified diamond? 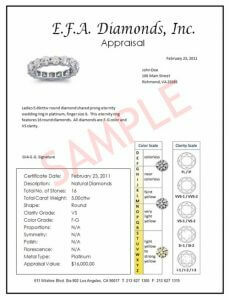 Why is it so crucial for your diamond to be pre-certified? Is there a difference between certain certificates? These are some of the questions and concerns that we would like to shed some light on. On our first post, one of the do’s was to always compare apples to apples and to know the specs of the diamond you are looking at. That being said, how do you know for certain that you are comparing apples to apples? You don’t. Should you trust the jeweler that they are truthful and honest with their grading or should you depend on your own expertise? NEITHER. The solution to these concerns is to make sure every diamond you look at is INDEPENDENTLY certified. Every diamond, after it’s cut and polished, is sent to an INDEPENDENT lab to be weighed (carat) and graded (clarity, color, and cut) loose. 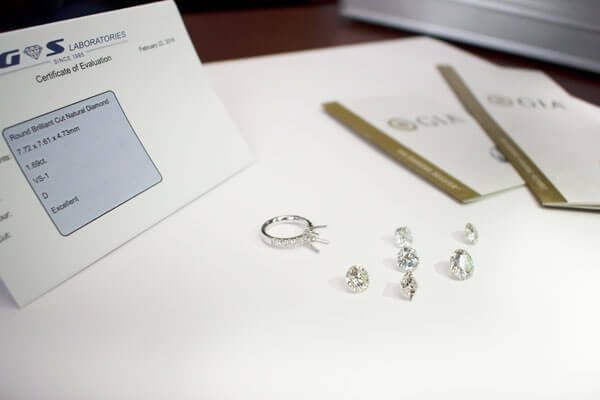 Using the latest equipment and technology (scales, microscopes, diamond scanners and color grading computers) the diamond is inspected by several gemologists before making the final decision on the grading. This process is the most accurate way of knowing what a diamond is. We keep writing “INDEPENDENT” in capitals because we can’t put enough emphasis on its importance. You obviously don’t want your stone to be certified by the seller nor by a company affiliated with them. So how can you know that the cert you are presented is issued by a trusted and reputable lab? Do your homework, find out which are the companies you can trust and depend on. You will find an abundance of information on the internet, blogs (such as this one), forums etc. There is a difference between a certificate and an appraisal or certificate of evaluation (as it’s sometimes deceivingly called)? You bet there is, it’s as different as night and day. An appraisal is just an opinion as it is stated in the fine print on the back of the paper it’s printed on. 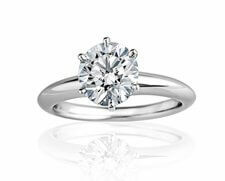 When appraisals have conducted the diamond of your choice will be inspected after it has been set in a piece of jewellery and once the stone is set it cannot be weighed on a scale, therefore, the carat weight will be estimated. 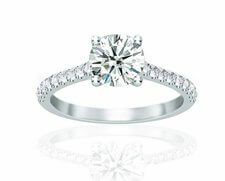 The grading of clarity, color, and cut will also be estimated since the gemologist can’t look at the stone thoroughly, appraisals are just estimates. Would you base your decision on the 3rd most expensive and important purchase in your lifetime (House, Car, Diamond Ring) on an estimate? We wouldn’t!!! Beware of appraisals. They should only be used for insurance purposes, not as a comparative tool. 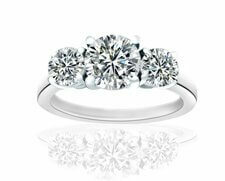 Make sure you have presented an INDEPENDENT certificate prior to purchasing a diamond. How can you tell the difference between a cert and an appraisal? Certificates never state a dollar value of the stone. 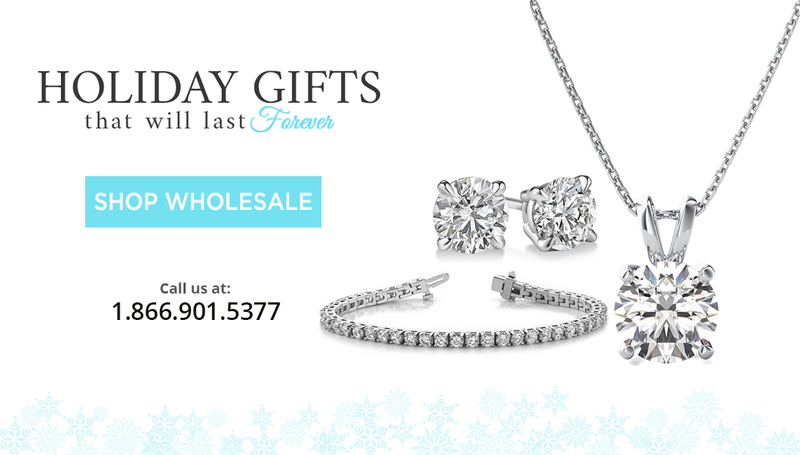 We hope this post was informative and useful to you in your quest to buy the perfect diamond. Feel free to contact us with any thoughts or questions through email us here on Facebook and Twitter or, better yet, come on in for a chat with one of us. We’d be happy to help you make the right decision.